It has been 9 years since Microsoft gave us gamers a brand new platform to try out our gaming hands. Xbox 360 was sort of like a revolution in the gaming world. Over the years, there have been a ton of games which have kept the gamers happy. Even though we have moved on to the new generation console in the form of XBOX One, the 360 remains one of the most loved and played gaming console. With that being said, listed below are 7 such games which are a must have if you have ever owned or still own a Xbox 360. If you are a fan of the first person shooter games then Halo has to be on your list of all-time preferences. The first edition of Halo knocked off all competition and set a new bar for first person shutting games. However, Halo 3 has what perfected that standard. 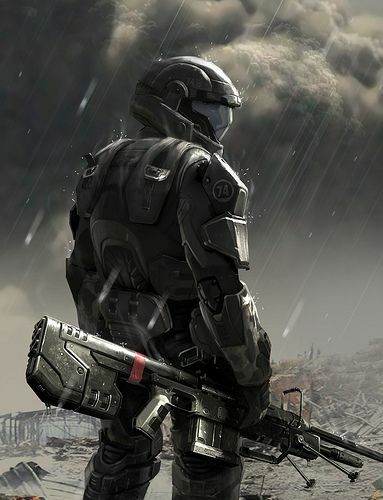 The game saw Master Chief, the main protagonist of the game, push his limits and explore more regarding his storyline. It was also the edition of the series to introduce a four player online co-op that was like a dream come true for most gamers. The graphics of the entire game is absolutely amazing and blowing up aliens have never looked better.